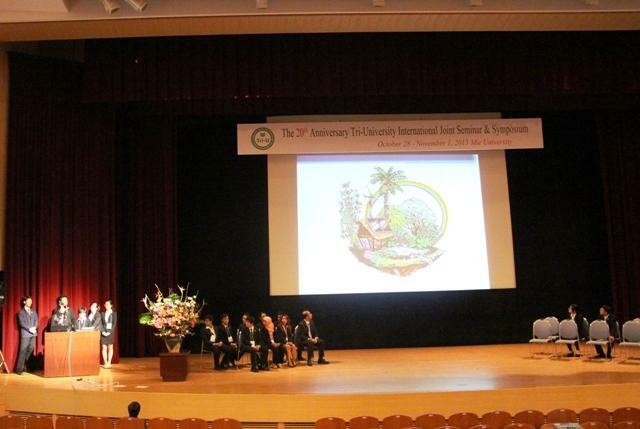 From October 28 to November 1, the 20th Tri-University International Joint Seminar & Symposium 2013 was held at Mie University with around 140 participants from 20 universities in 8 countries. 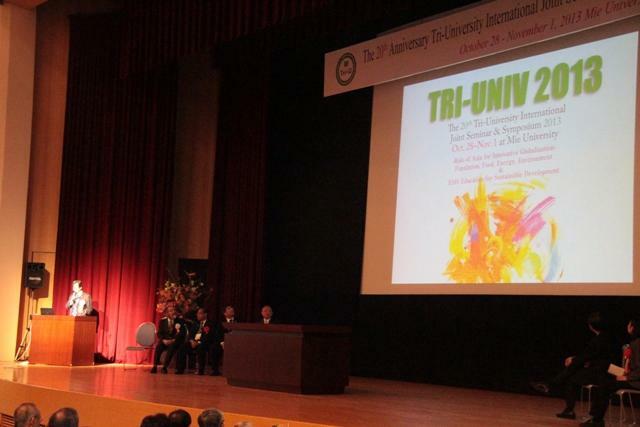 The Tri-University International Joint Seminar & Symposium is an academic meeting hosted by Mie University (Japan), Chiang Mai University (Thailand) and Jiangsu University (China) in turn. Bogor Agricultural University was newly added as one of the host universities from 2011.This year, the commemorative Seminar & Symposium was held in Mie University, who held the first Seminar & Symposium. 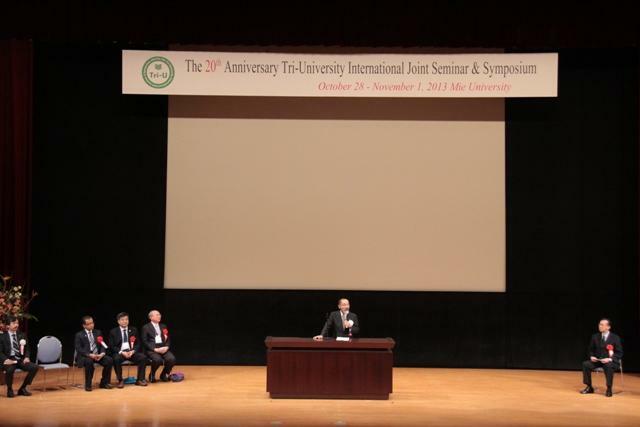 In the good early fall days, the Seminar & Symposium was successfully held following the opening ceremony. The Special Lecture and the Memorial Lecture were specially held for this Seminar & Symposium. 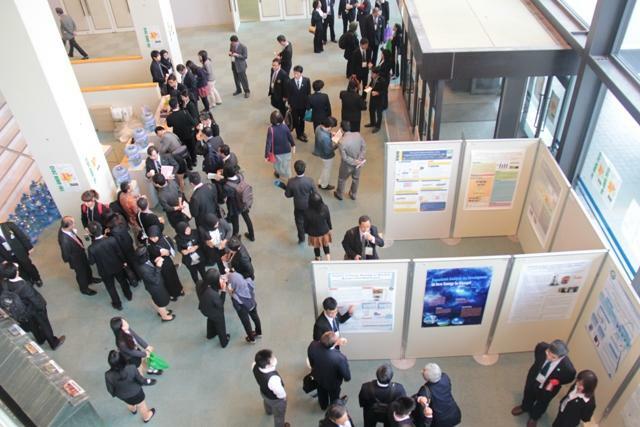 In the program, participants had great presentations both in oral and poster as well as the Workshop Program. 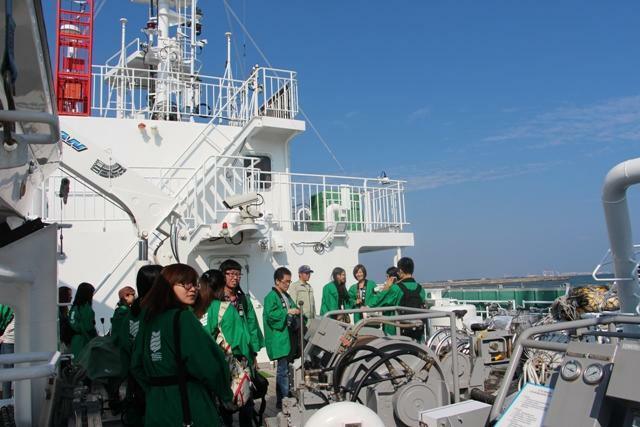 On the 31st, participants leaned about biodiversity on board with Mie University's Training Ship "Seisui-maru." 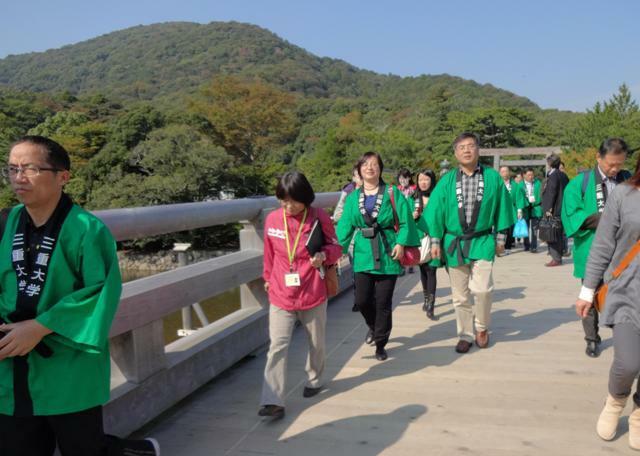 On the same day, they visited Ise grand shrine and felt a great nature in this region. On the last day, Best Presentation Award and Best Workshop Award were announced in the Closing Ceremony. On November 2, participants left from Mie University safely.